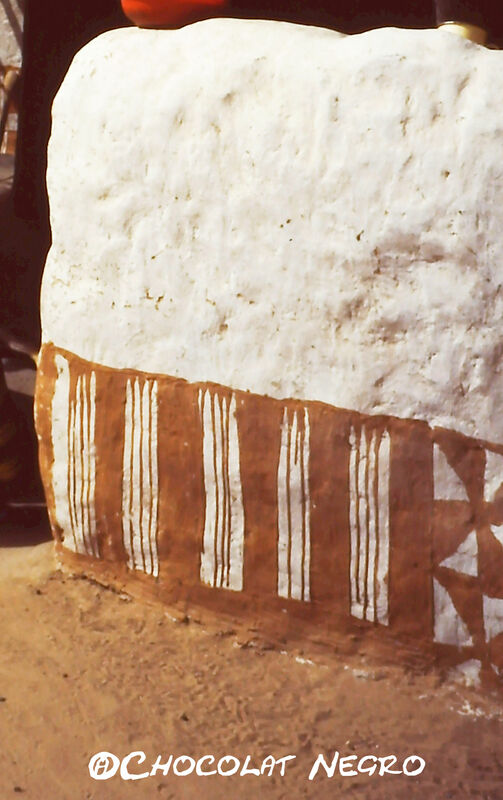 The Influence Of Islam On West African Architecture – Preservation Not Destruction! Vey sad news have been spread all over the world through television. 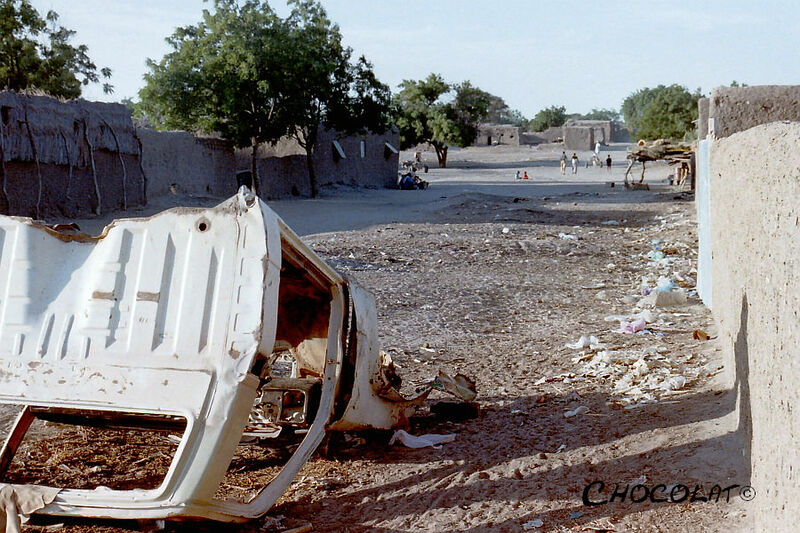 Several ancient buildings have been destroyed by ex-Gaddafi Taliban fighters who occupy presently the North of Mali, trying to introduce the law of the scharia. Amongst these buildings was a religious shrine, that was built in the 15th century in the style what is today defined as the Sudano Sahelien Architecture. What has been destroyed is not only part of the heritage of Mali and belongs to the Malian people, but it is at the same time the cultural heritage of the whole world. It is easy to tear something down ( a saying of my grandfather who survived two World Wars) – it is as easy as counting to one, two, three – but it can sometimes take centuries to build it. 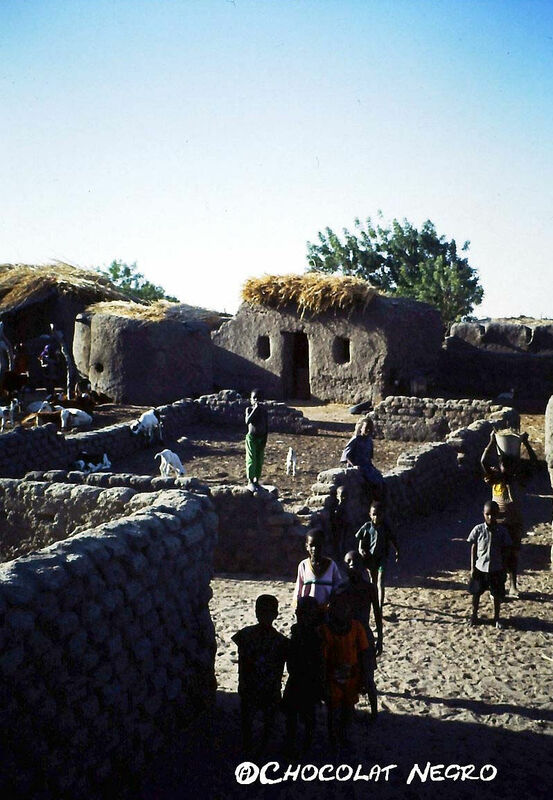 The irony of this situation of destruction, reigning in the North of Mali is, that Islamic architecture heavily influenced the Sahel and Sudanian regions of West Africa during the 16th and 17th centuries with the use of mud bricks, adobe plaster and wooden support beams jutting from the wall to act as scaffolding for reworking. The architectural creations of the same religion( a peaceful religion in its essence) are destroyed now by its extremist followers. The influence of Islamic architecture on ancient West African architecture can be traced back to the 8th century with the arrival of Muslim traders. Arab Muslims incorporated existing indigenous architectural elements into designs originating in the Middle East. It is mentioned in old documents that the famous Malian Muslim Emperor Mansa Musa returned from a pilgrimage to Mecca in the year of 1325, bringing back with him a baked brick technology to build five mosques, which influenced the future and the style of West African construction. The beauty of the Sahelian Sudano architecture lies in the fact that the Pre-Islamic West African architecture, that consisted largely of compact mud and tent structures was paired with centuries old Islamic design elements creating a completely unique and fascinating architecture, famous and admired all over the world. 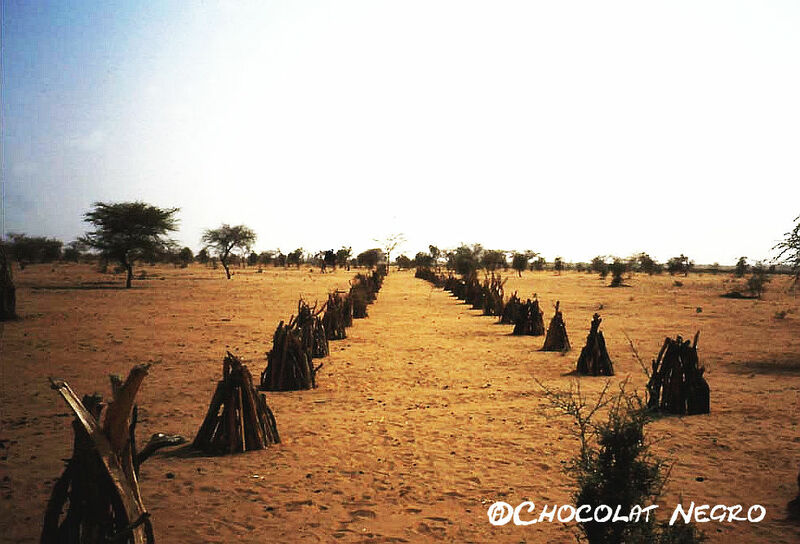 It is the perfect fusion of these two styles and cultures, that give the Sudano Sahelian architecture a mystical and deeply religious dimension. It is a type of architecture that can be essentailly considered as organic, sustainable and ecological. Is Eco Design not what the West and the first world countries are trying to introduce into their societies on a larger scale ? Let’s look to West Africa for inspiration and learn from it. In the Sahel region, Islamic architectural styles of mosques and palace courtyards and high walls brought the concept of municipal city centers to West African cities. 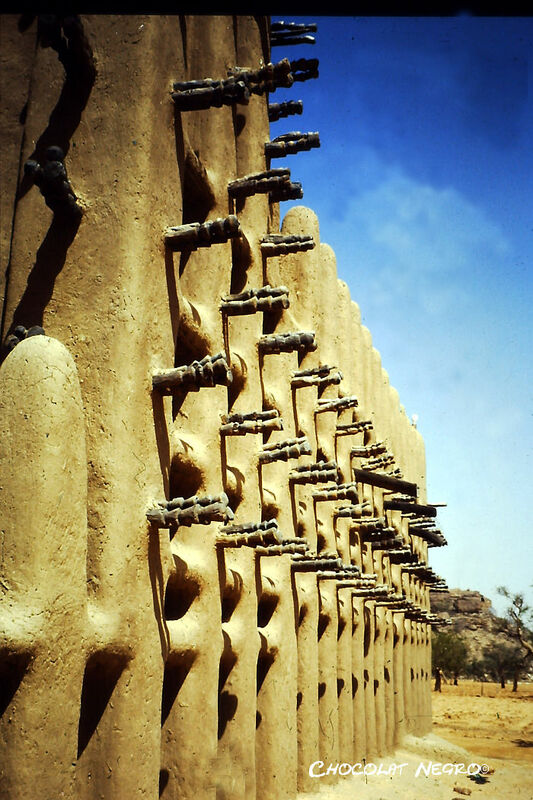 Mosques were designed by using existing West African, Malian Dogon architecture consisting of conical towers, pilasters and buttresses that continue today to be a Sahel mosque’s primary characteristics. 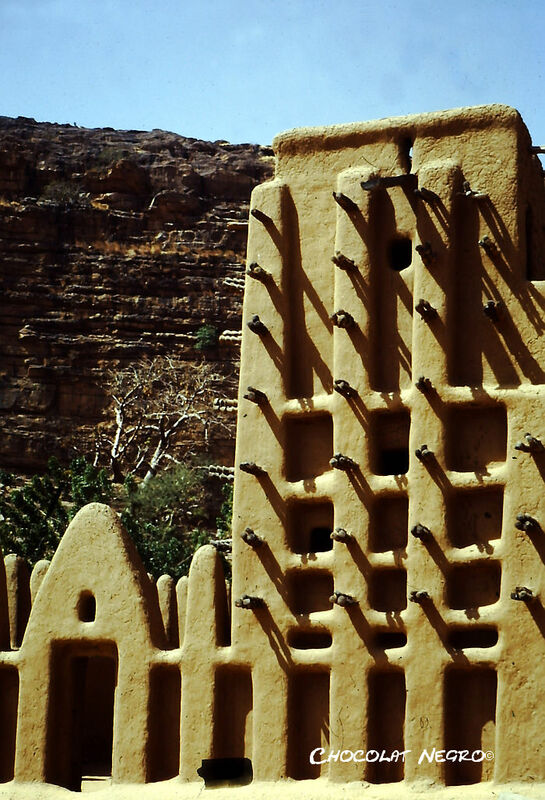 Looking at these images of a mosque in Bandiagara in the Dogon Plateau one can sense easily the greatness of these buildings. 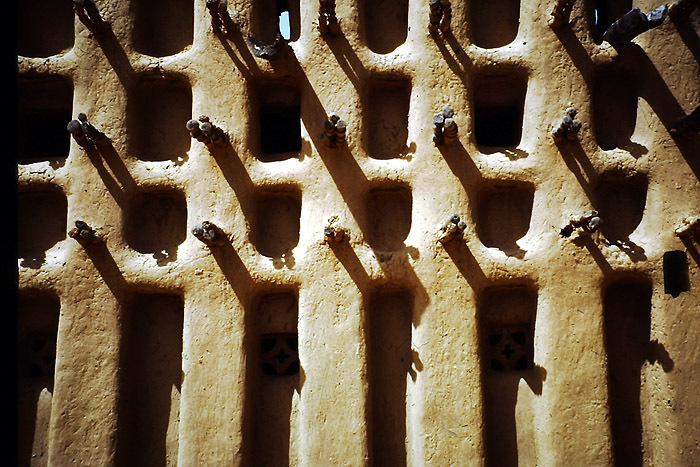 They were taken by my very good friend Ralf Scheurer, an architect during a visit to Mali to the Dogon country. One has to realize we are talking about mud- buidlings that date back to the 15th century and earlier. They have been preserved ever since just to be destroyed now. What is happening in the North of Mali is a disaster and a catastrophe. Scrap for Africa, dumped on a dusty street in Nara. First world scrappage programs lead to first class scrappage sites in Africa. A scrappage program is a government budget program to promote the replacement of old vehicles with modern vehicles. Scrappage programs generally have the dual aim of stimulating the automobile industry and removing inefficient, high emissions vehicles from the road. Many European countries have introduced large-scale scrappage programs as an economic stimulus to increase market demand in the industrial sector during the global recession that began in 2008. In an effort to stimulate consumer spending, the German government has provided a scrap bonus of 2,500 euros ($3,570) for two million old cars in 2009. Germany announced, however later, it would not extend the subsidy, which has proved extremely popular. Many Germans jumped at the chance to replace old cars with new ones. But instead of being crushed here, as planned by the program, many cars end up in Africa. Nigerian dealers say they export up to 150 cars per month. Similar, the Car Allowance Rebate System (CARS), colloquially known as “Cash for Clunkers“, was a $3 billion US federal scrappage program intended to provide economic incentives to U.S. residents to purchase a new, more fuel-efficient vehicle when trading in a less fuel-efficient vehicle. The program, starting in 2009, was promoted as providing stimulus to the economy by boosting auto sales, while putting safer, cleaner and more fuel-efficient vehicles on the roadways. However 50000 scrapped vehicles have been exported to Africa and Eastern Europe, where newer, safer cars of the type being destroyed in the West are prohibitively expensive. Now just add all the cars that have been brought to Africa since the 1960’s. To plant is not the problem but to protect and make them grow. One of the project's tree growing sites. Sometimes an image is all that is needed to explain something. Words are powerful. Words and images together are unbeatable but there are moments when a picture is enough. “La lutte anti-erosive”, the fight against erosion and its consequence the advance of desertification, and the stabilization of newly formed dunes to prevent them from further moving down south in the Sahel is an ongoing problem that gets a great amount of attention from development and nature conservation organizations all over the world. It is in my eyes the biggest problem because ” The land is scarred and lost for us”, as an elder local resident said to me once. I can never forget his words. 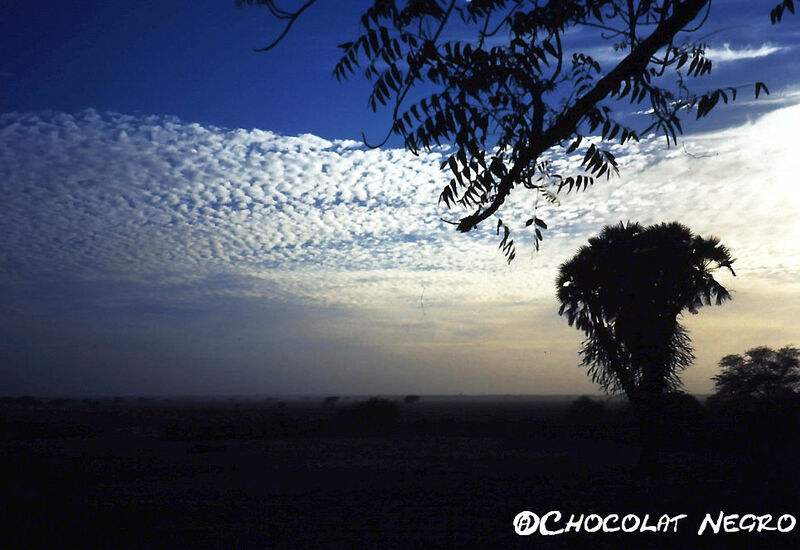 A great part of the work I did in the Sahel (with an amazing team of people) was in the field of the protection of the natural environment in the cercle de Nara. Nara having been classified since decades as a zone of ” food insecurity and extreme poverty” had enormous environmental problems. And land was lost for us. I should learn the truth of these words during seven years and see it daily with my own eyes. Once a certain stage of degradation had been reached, the land and its fertility could not be re-gained no matter what measures were applied. Developmental programmes and projects that cover the hole Sahel belt will contradict my statement and say that many measures work and that a combined effort is necessary. They don’t. Combined effort does not work. It is not my objective to criticize the efforts of organizations and the flow of millions of dollars and euros to the Sahel region because I was involved in the same efforts passionately for many years. Simply to keep these measures going that are taught by developmental organizations ( and they are taught even if the process is named participatory) and to apply them again and again is exhausting and tiring for the ones who have been designated as ” the responsables” ( village people again) in the project planning. To plant a tree is not the problem. To grow it is the challenge. The challenge for the residents is to protect it with a fence, either of wood or wire, if you have, so that the goats can not eat it, then to fetch water from the traditional wells or from the water holes in the marigots ( dried out lakes), to walk to the site by foot in the hot Sahel sun and to water the trees twice at least. Better would be three times a day, as the project said. The challenge is to do this for fifteen or twenty years. The challenge is to protect the young plants against natural predators, such as crickets and bugs. To do this the project has shown the target group ( the village people) how to prepare a ” completely organic and ecologically safe ” brew from plants like the Neem tree. This must be applied preventative once a day. But yes, of course there is training and” encadrement”- monitoring or follow-up. A local project agent will travel with a motor bike to all the sites and will be in frequent contact with all the locals, ready to answer questions and to offer the project’s support if needed. He will do that at least for five years. I am holding my breath now here.. but one good thing has happened. We created a job. The local agent is going to feed his family for five years because he has a job and a salary. But what can be done ? Really? The presence of palm trees in my close vicinity has always contributed to my feeling of happiness. I feel happy when palm trees grown close to where I live. It must be a connection to an earlier life. My working days looked like this: I started out early and went to the villages in the morning when it was not too hot. I came back at around lunch time and during the obligatory desert siesta I took notes ( yes, notes from my mud hut. I filled page after page of my diary with descriptions of what I saw and what I experienced). In the afternoon I went again to the villages to come back shortly before sunset. 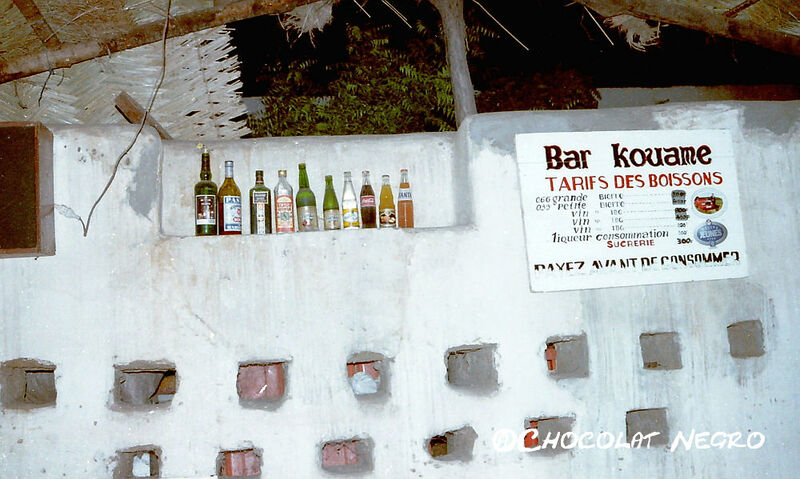 Then I got myself a drink, usually a beer from Kouame’s Bar or the unavoidable colonial Gin and tonic and looked over my wall until it got night, holding my drink below and not above the wall as Kodjo had recommended. No, I am not strange ! That was what other people did as well. Except for the beer and the constant visiting of the villages. But looking over the wall is a popular past time in Nara and it is really absolutely not boring. I visited the villages daily, mornings, afternoons and sometimes even in the evenings when I was invited for a ceremony. I was blessed because I was allowed to witness so many scenes of Nara daily life. 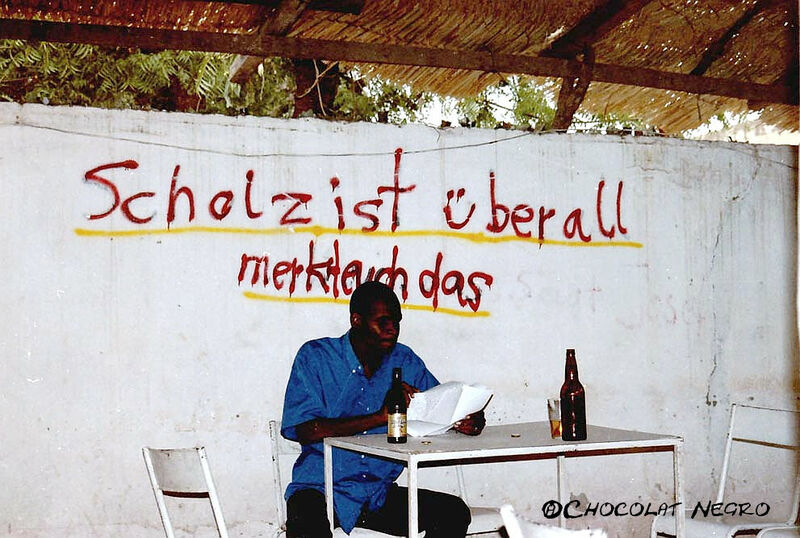 When browsing the internet now I come from time to time across great articles that describe in detail some aspects of Malian life. I was really incredibly blessed. Sometimes you don’t know a blessing when it is there, but you realize it later how great the gift was that you have received. The fact that I stayed for several years in Nara gave me the chance to see everything with my own eyes and to experience the pleasure of just being there ! Not only to see it with my own eyes but to see it OVER AND AGAIN – until I could say without shame, yes I have seen this truly. 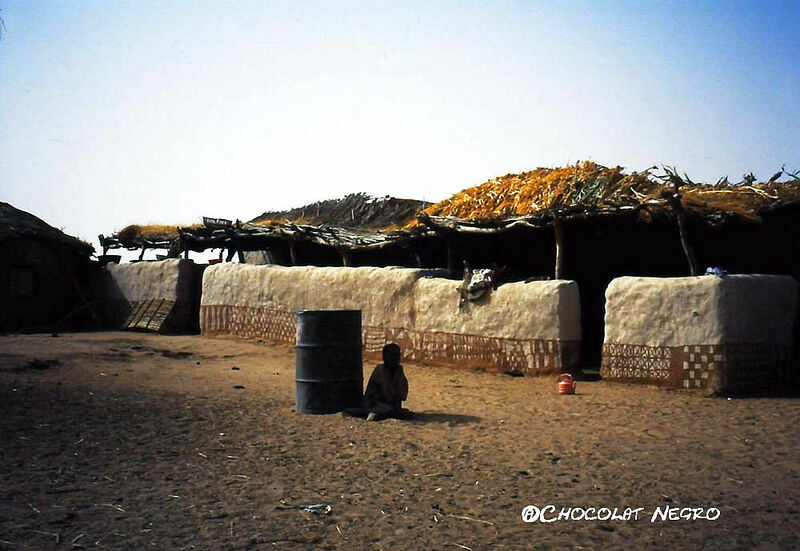 Most of the buildings in the villages in the Sahel zone are mud brick constructions. 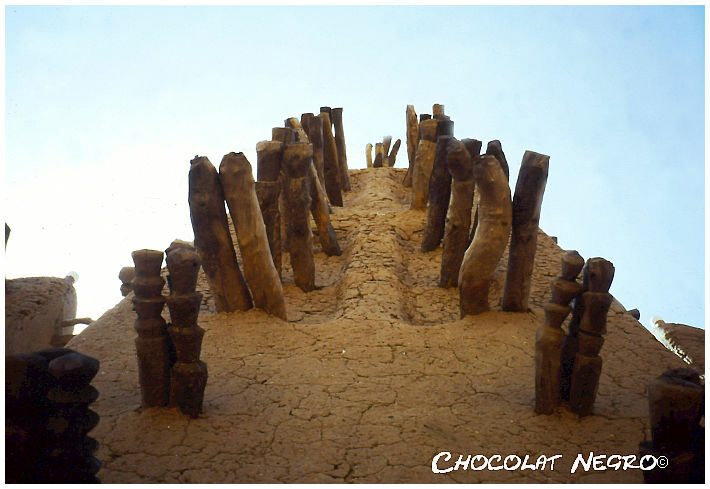 Mud brick houses are the traditional way of building in the Cercle de Nara and way beyond the borders into Mauritania. 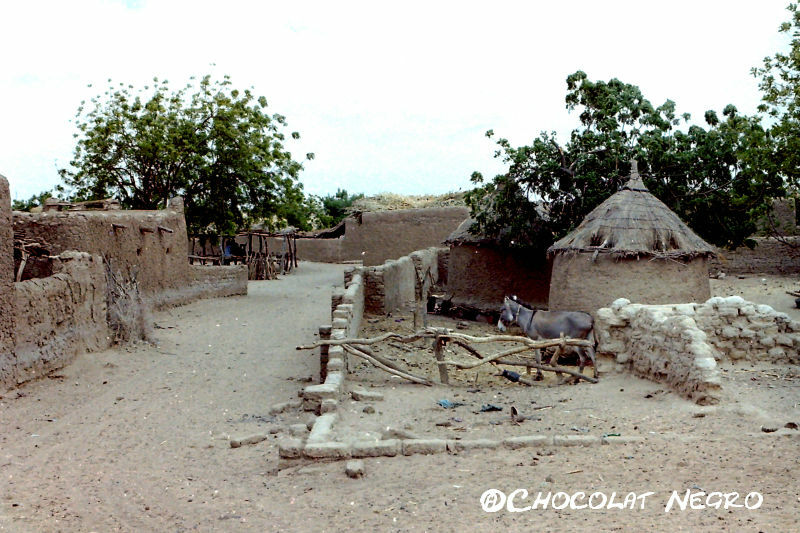 The mud bricks are made where and when they are needed. 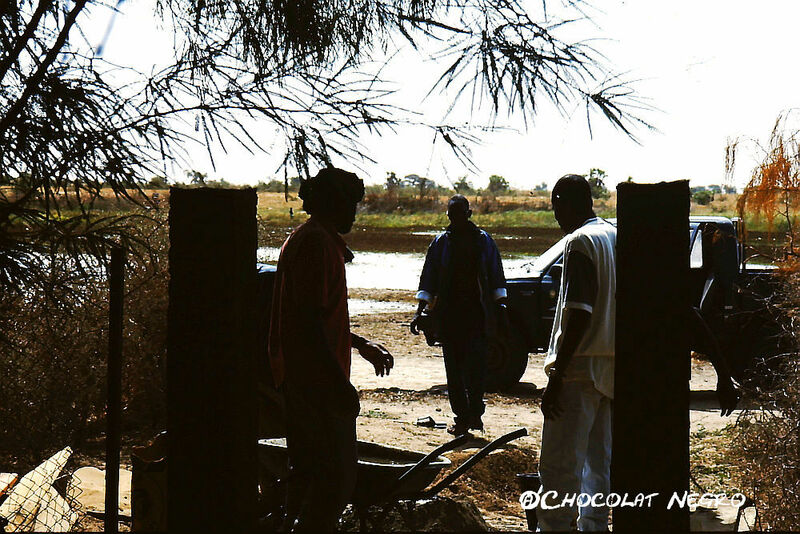 Villages usually have a mud hole next to them, often in a dry lake, where the bricks for the village are made. Mud brick building have to be repaired a certain period of time, especially after the rainy season, and need frequent attention but it is astonishing how long mud bricks can last. A mud brick is a non fired brick, made of a mixture of clay, mud, sand, and water mixed with a natural and organic binding material such as rice husks or straw. Brickmakers use a stiff mixture and let them dry in the sun for 25 days. It takes a lot of experience to make bricks and a brickmaker is a professional who works throughout the whole year. He makes bricks for other people as well. In warm regions, like the Sahelian zone with very little wood available to fuel a kiln, the bricks were generally left in the sun to dry out. This had the result that their useful lifespan is reduced to around thirty years. Once a building collapsed, new bricks would have to be made and the new structure rebuilt on top of the rubble of the decayed old brick. This phenomenon is the primary factor behind the mounds on which many ancient cities stand. In some cases brickmakers extended the life of mud bricks by putting kiln dried bricks on top or covering them with stucco. As it was then, so it is now! 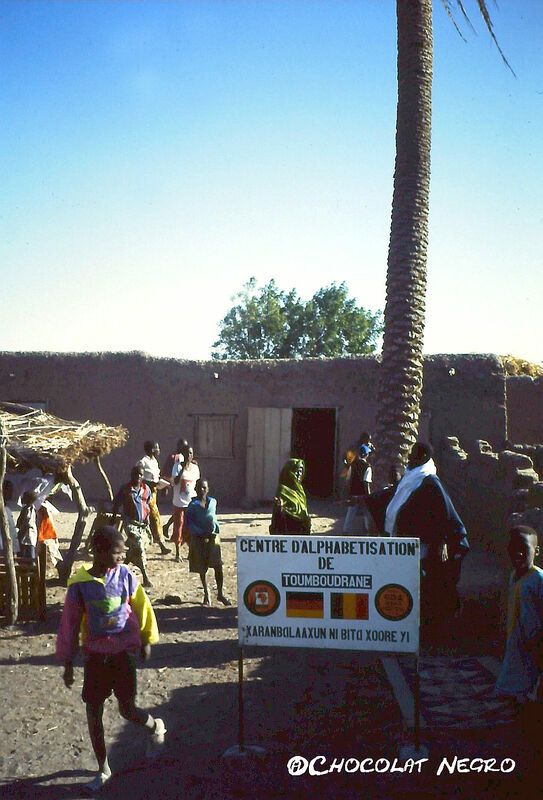 Toumboudrane, a village of old Africa. A place of healing and great knowledge. Toumboudrane was founded over 110 years ago. When I started working in Nara in the 1990’s the chief of the village had already reached the honorable age of 88 years. 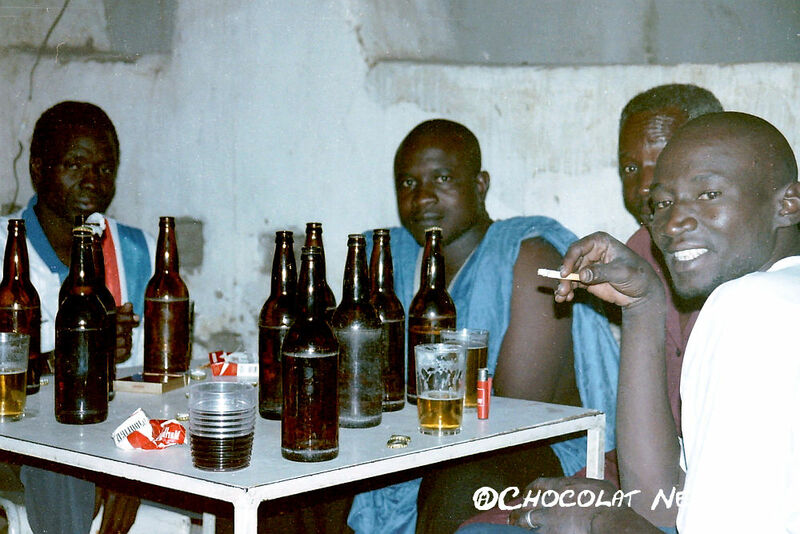 To be old is good in Mali. Old age is an honorable state that deserves respect. 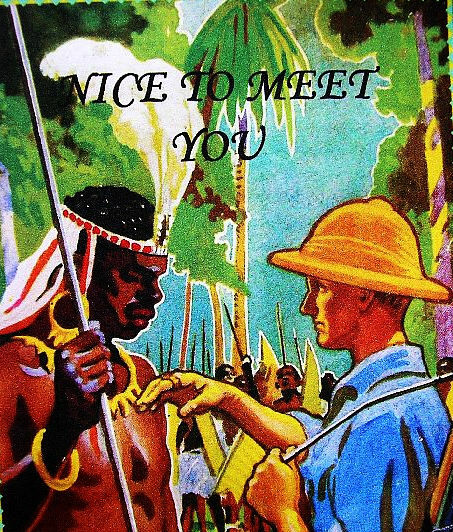 When I paid my first visit to the village to introduce myself to the chief of the village, a representative for the village chief had already been chosen to replace and assist him in decision-making concerning the affairs of the village. His advanced age and the fact that he was not capable anymore to attend to all the demands and situations that arose in the village and that he was not well physically made this measure necessary. Toumboudrane was also famous in the cercle de Nara for its Koranic school and for the healing capacities of the old chief of the village. 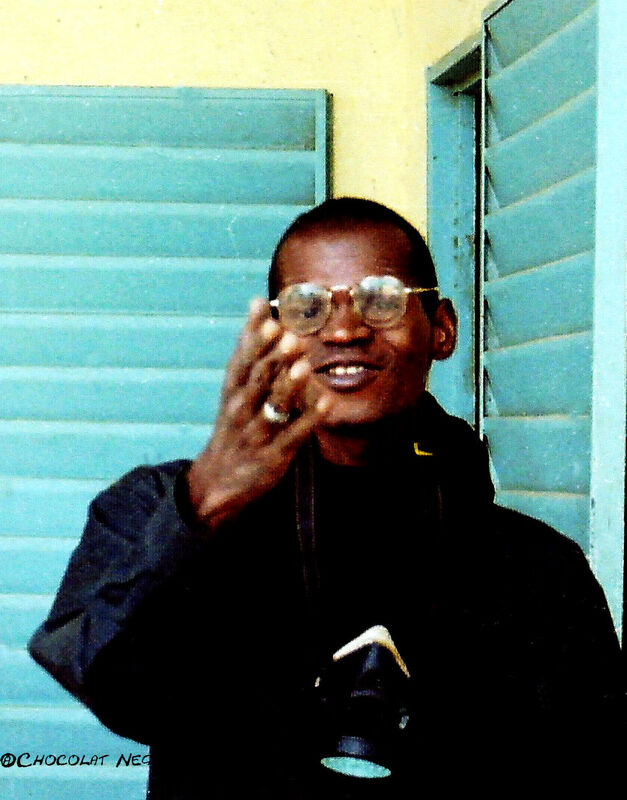 Mentally ill and people with psychological issues were brought frequently to Toumboudrane and handed over to the care of the chief of the village. He had the gift to heal the ill by reciting the koran in their presence. And people did get well again. Like a hundred years ago. 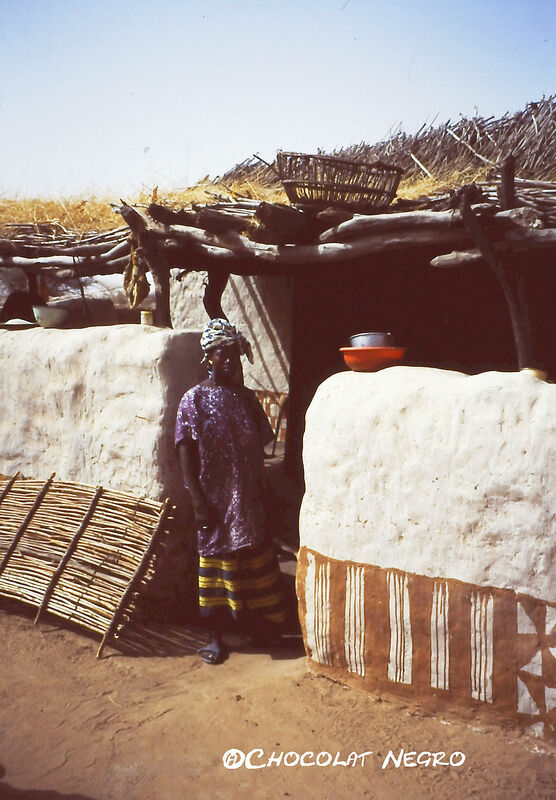 Houses are built still in the traditional way in the villages by using handmade mud bricks. At the time of the projects interventions Toumboudrane counted 1115 inhabitants. Today according to a more recent census from 2003 it counts 1662 inhabitants. All the villages in the cercle de Nara have an old history but Toumboudrane was a village known for its spiritual and religious tradition as well. It belonged also to the interventions zone of the Project LAG. Being the third biggest village of the municipality of Nara it was chosen as one of the first villages where a “centre d’alphabetisation” was build in the 1980’s. 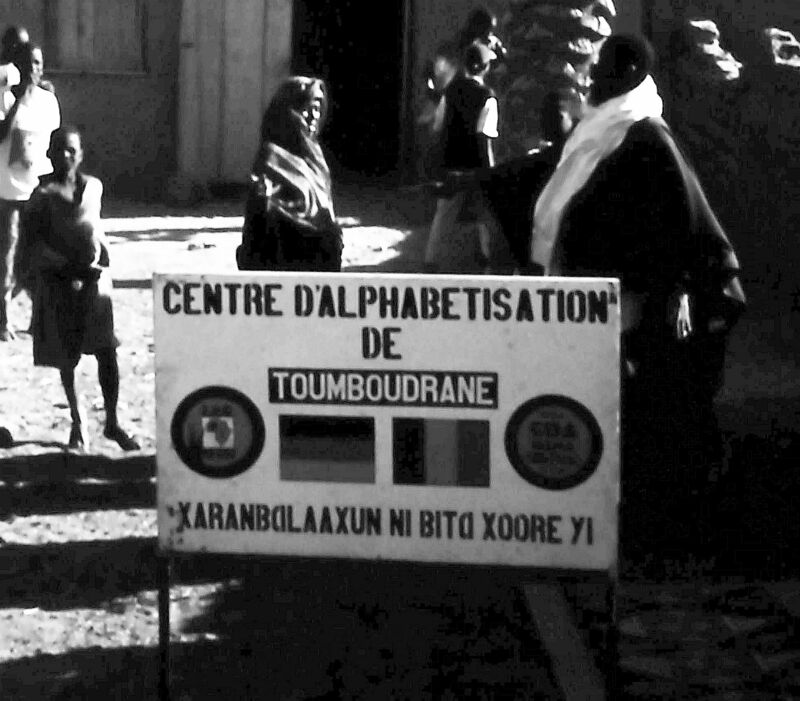 This adult education center taught the people of Toumboudrane with the help of two local teachers, that were paid by the LAG, to read and write in their own language, Sarakolle. Interesting was that there existed now two educational institutions next to each other in the same village. The one was a koranic school with hundreds of years tradition and a reputation reaching far based on the Muslim faith, exploring the human soul and the many ways how to serve god and to become a better human being. Koranic teachings under the shade of a tree. The old village chief sitting on the left. The other one an educational institution based on Western principles trying to empower people by giving them the gift to read and write in their own native languages. And it has to be said they co-existed well. I can say it was a good thing that I kept a hand written diary through all those years. 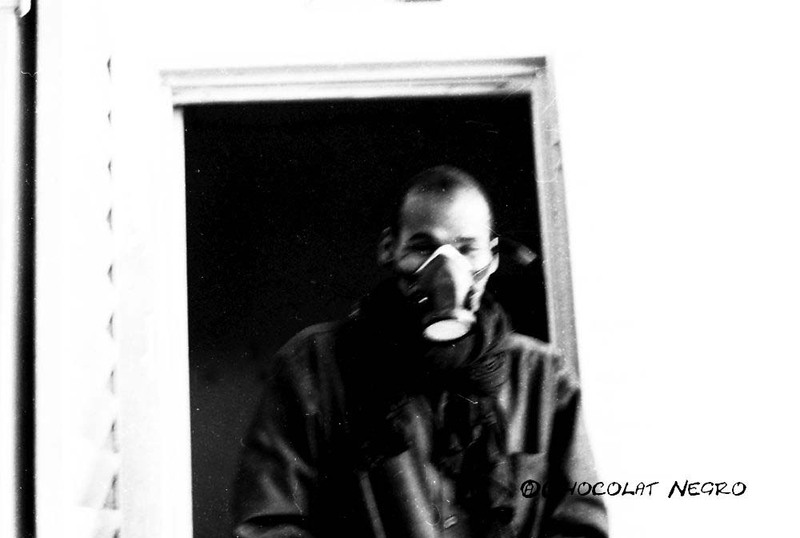 Looking at the photographs now brings back the intensity of these moments and encounters. I know now that I have met some great spiritual people and leaders in my life. Even if some of the encounters were short. One comment I have written in that year caught my eye again. My conclusion at the time was, that both schools had so much to say and to give and that their knowledge and tradition combined could indeed help you to become a more humble, less pretentious, wiser and spiritually richer human being. 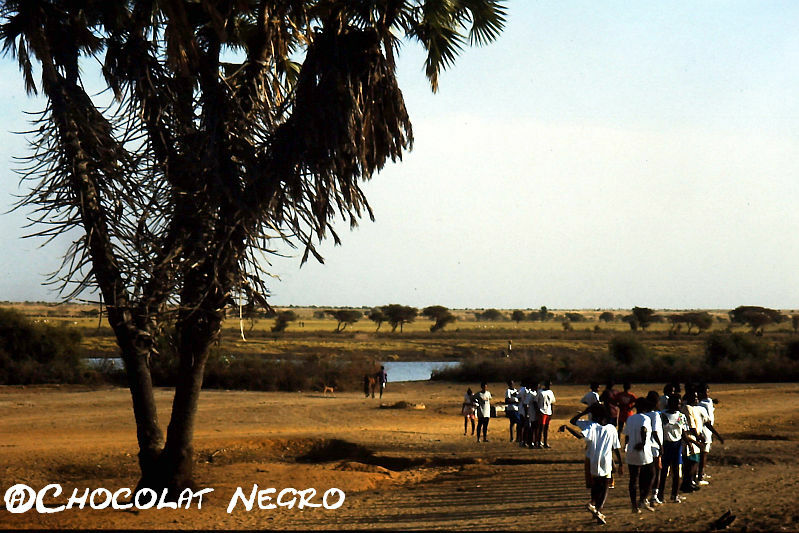 Young soccers players move down to the "marigot" the dry lake, to get ready for a soccer match. Since it is a special match they have all dressed up in white T Shirts and shoes for this occasion. My first work assignment was to be patient and present, in other words to look around and understand my new environment. At the end of my observation period a detailed report was expected. That was fine with me, writing was never a problem for me. 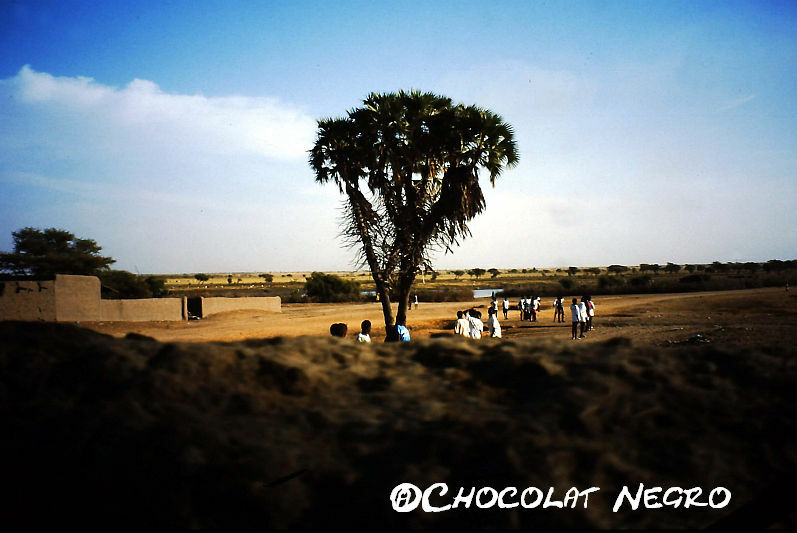 But I can tell now that it takes a minimum of two years to understand the relations of the people in a village like Nara au Sahel and to get a feeling for a place. Two years are just the beginning of a long journey making you understand the basic functioning of a locality. Two years just help you to not embarrass yourself too much anymore in public. The finer connotations still escape you ! After two years you move on to the next level. I talk about participatory development and development aid but my focus is on the human side of it. The focus is on what can happen and will happen to you when you immerse yourself deeply into a culture, that is not only not your own but more so is deeply distant from your culture. It is absolutely fantastic but the greatest change will happen to you and not to the ” developing world or the third world and its people. The one fundamentally and drastically changing, thereby causing great concern to your non-understanding family is going to be you. For the execution of my first assignment and many others, the wall around my mud and Banco house was the ideal working environment. I lived in the last house at the end of the road on the right hand side of the “Quartier Liberte”, also called the Moor Quarter. At the end of “Liberty” was a great dry lake, the French expression for it is “marigot” or simply “le mar”. Leaning on my wall, changing my position with the moving shade and moving along with it – I was patient and present as had been suggested. In this dry lake soccer matches took frequently place. One afternoon a special match was organized and I saw the young promising soccer players moving down to the mar. All were dressed in white t-shirts and they were wearing SHOES! That showed how special that match was. Normally soccer was played barefoot on sand and gravel. There are no football clubs, sometimes there is not even a ball ! But Soccer is a real peace maker in Africa. And why are there so many great African football players? 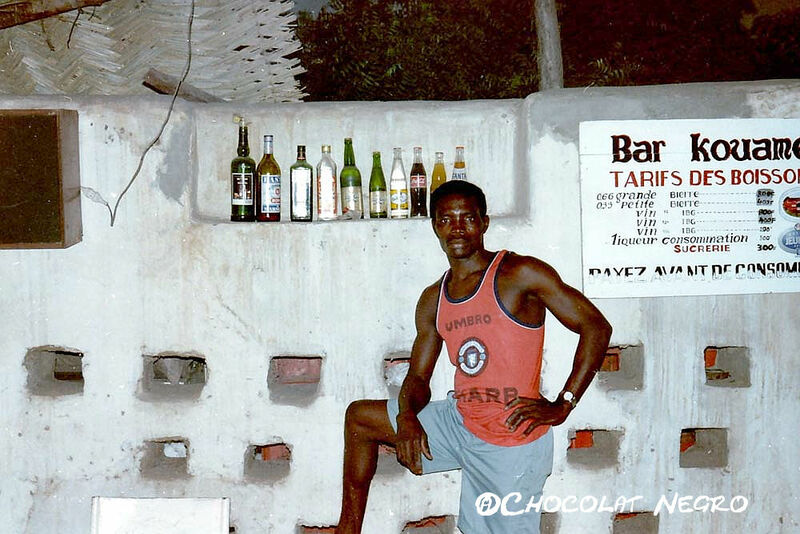 Because most of them started like the young soccer players in the marigot of Nara au Sahel. In Mali a Village Chief holds his position for life. Every village has a Village Chief. A Village Chief gets his position through inheritance. The male lineage to which he belongs can often be traced back to the founding family of the villages and to warriors of the earlier pre-colonialised West African empires. There are cases were families have been chosen by the colonial authorities to replace existing ruling families thereby facilitating and re-enforcing colonial influence and power over the villages. This has impacted on the development of villages up to the present day, mainly by establishing a new order by force and sowing conflict for future generations to come. 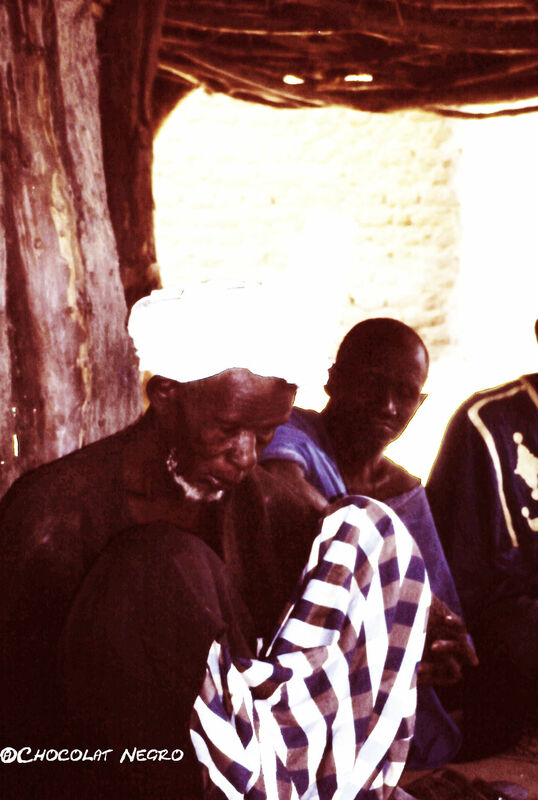 Village chiefs are usually elected by the heads of the households in the village, all male. Women do not participate in the election of a village chief. Although the role of the village chief is an extremely important one, he does not represent a village and he is not accountable for a village as a whole. 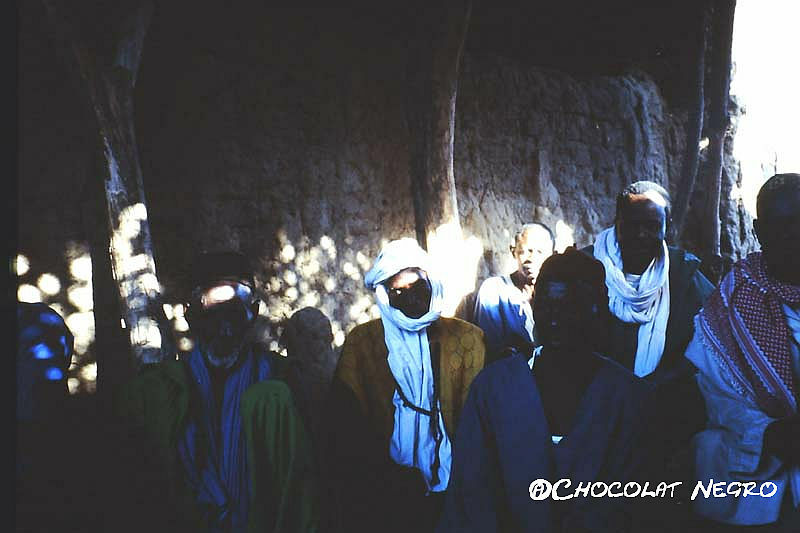 If there is unity in a village depends to a great deal on the personality of a village chief but also on the history of the village and what role it plays today in the modern Malian society. Additionally each village can be divided into committees, or groups of people, such a the youth including men from 18 to 50 years, the elders, usually all men over 50 and the women, including women over eighteen years of age. The objective of participatory development processes is to re-dress and rectify the mistakes and failures made by top down centralized development strategies. 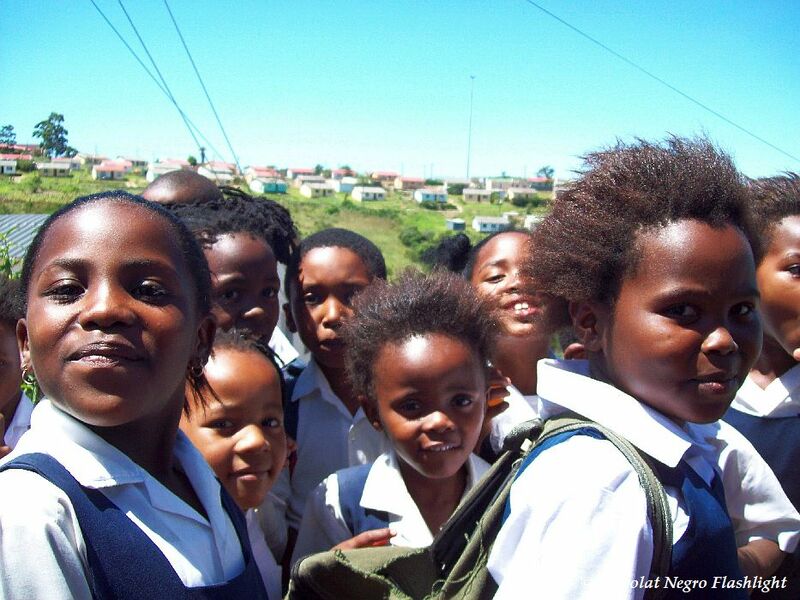 In this sense Village Chiefs and the rural councils of local governance structures are often chosen to represent the local population and the villages in participatory development processes. Especially for nature conservation and natural resources management project chiefs, and the clan of elders are desirable representatives because they manage the local resources in a given area. Each and every decision in participatory development planning In Nara had to be run via the Villages Chiefs. Given the complexity of this system it is easy to get an idea how much complexity it added to development work and community decision-making and control of resources and turn on the implementation of the so-called participatory strategies.